The Inland Waterways Association (IWA) is a registered charity, founded in 1946, that advocates the conservation, use, maintenance, restoration and development of all inland waterways for public benefit. In many ways it is viewed as the ‘voice of the waterways’ and has 33 national branches including one covering Oxfordshire. To advocate the restoration, conservation, good maintenance and sensitive development of the inland waterways of England and Wales, including the structures and buildings of the waterways that are an integral part of the waterway environment. To encourage the fullest use of the inland waterways for recreation and commerce in so far as that is commensurate with their preservation, the maintenance and improvement of their historic and natural environment and the enjoyment of others. To educate everyone about the use and benefits of the inland waterways by means of publications (both printed and electronic), practical examples to demonstrate benefits and participative activities. The Oxfordshire branch of the Inland Waterways was one of the founding members of the Oxford City Canal Partnership. 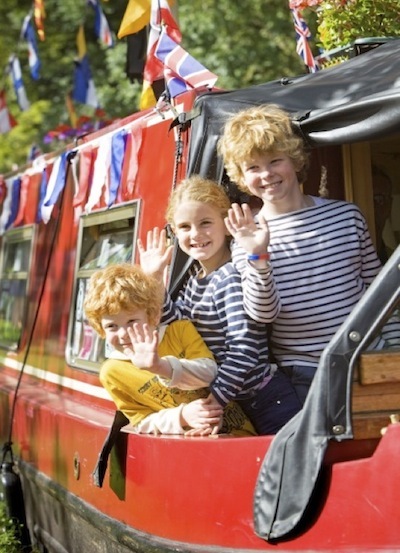 The Oxfordshire IWA provides narrow boat rides on the Oxford Canal at Hythe Bridge Street during Oxford Open Doors which takes place in 2014 on Saturday 13 and Sunday 14 September. Organised by the Oxford Preservation Trust and partners, early details are available here.